Microarrays are a critical and rapidly growing sector of medical diagnostics. 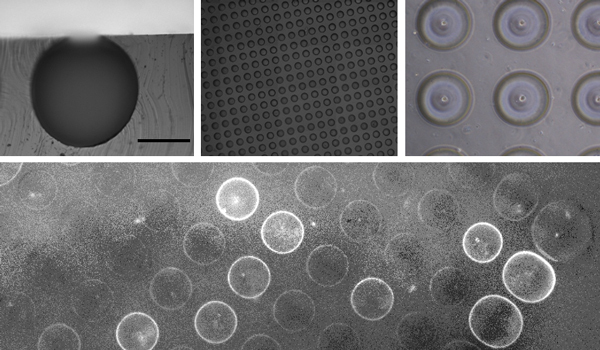 Development of PDMS Microbubble (MB) arrays through gas expansion molding (GEM) are one promising approach for single cell sorting and antigen specific detection. These MB arrays will allow for the rapid screening and isolation of clonally pure cell lines from heterogeneous cell populations of both primary and laboratory cell lines. Such screening methods can be used for future work related to disease detection, antibody enrichment and in vitro drug screening studies.